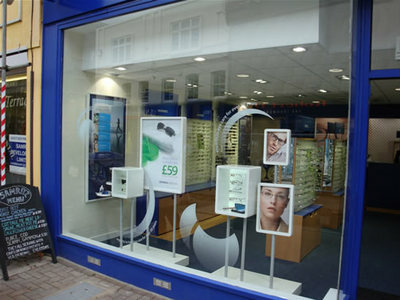 History Scrivens Limited was founded in 1938 by qualified optician and pharmacist Solomon Scriven. Operating from the heart of the Midlands, Scrivens' business grew rapidly at the end of the second World War, and the early 50's saw expansion and new branches opening in London and Sheffield. It was during this period that hearing aid dispensing was introduced into Scrivens' practices in order to bring another dimension to Scrivens' service, and increase customer choice. Initially run separately from the optical service, increased awareness of hearing problems and a shift in society's attitude to hearing aid wear resulted in this service becoming a major part of Scrivens business. 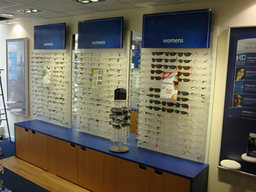 Today Today, Scrivens has over 130 of its own branches within a retail network that covers the Midlands, North, South and East of England following the acquisition of the Melson Wingate group of opticians, PJ Hanby Opticians in Rugby, and most recently Ronald Brown and Tillett Adams Opticians. The continued process of steady growth has been boosted by the installation of our hearing care services 'The Hearing Company' within many external optical retailers - The Hearing Company now boasts a hearing care service in around 500 optical outlets nationwide. Future Scrivens has been, and still remains today, a family company built on solid foundations. Always adapting to change in the optical and hearing field, whilst still maintaining the highest standards of customer and staff care. The Companys' long term goal is to put the customer first, and to provide the finest customer care available - something it has been putting into practice for many years now.